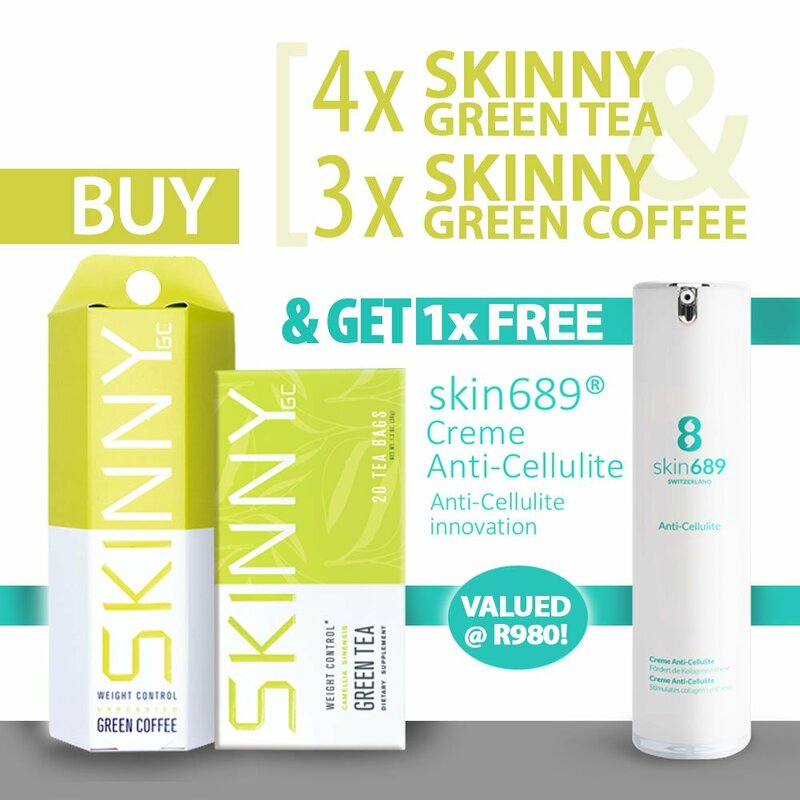 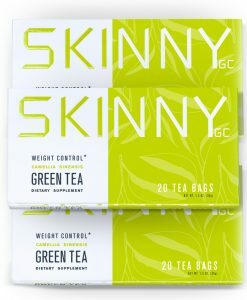 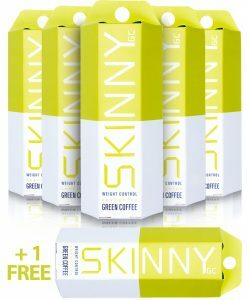 Purchase this Skinny Green Products bundle – which includes 4x Skinny Green Tea and 3x Skinny Green Coffee – and get an unboxed Skin 689 Anti-cellulite, valued at R980, absolutely FREE! 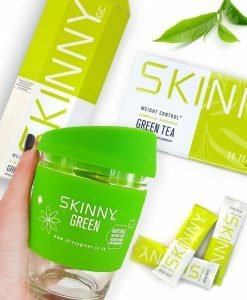 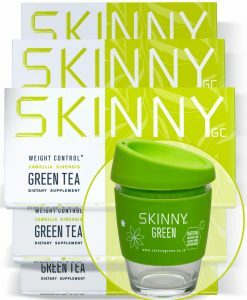 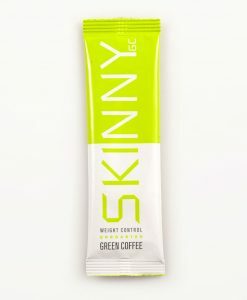 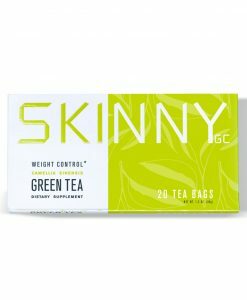 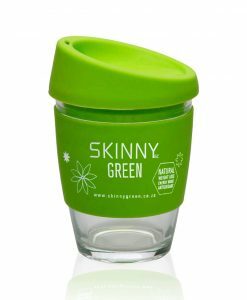 Read more about Skinny Green Products, the natural weight loss products that not only helps your body burn unwanted fat but also boosts energy, HERE. 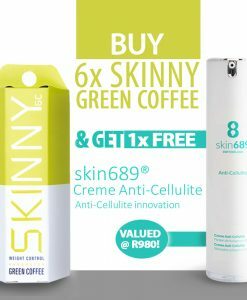 Read more about Skin 689 and it’s highly effective, active ingredient-based, skin firming cosmetic products made in Switzerland HERE.